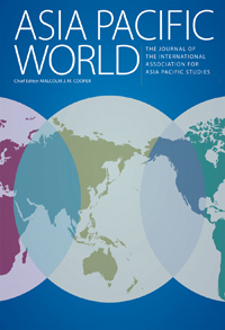 For inquiries about IAAPS and/or Asia Pacific World: The Journal of the Association for Asia Pacific Studies, please contact the IAAPS Secretariat. note:The above addresses have been altered to protect against spam mail. Please change the * symbol to @ for the correct address. Please input one more time for confirm.